Chicana author and scholar Dr. Norma Elia Cantú uses images and poetry to chronicle her experiences growing up on the US-Mexico borderlands. In addition to reading from her award-winning Canicula: Snapshots of a Girlhood en la Frontera, she'll read from her new book, Cabañuelas, and her forthcoming poetry collection, Meditación Fronteriza: Poems of Life, Love, and Labor. 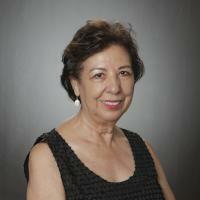 Dr. Cantú is the Murchison Professor in the Humanities at Trinity University and a renowned Chicana writer and scholar. We will host a reception from 4:30 - 6:15 p.m. in honor of Dr. Norma Elia Cantú in collaboration with our partners Mujeres Activas en Letras y Cambio Social (MALCS), the Hulbert Center for Southwest Studies at Colorado College, the Colorado State University-Pueblo Honors Program and the CSU-Pueblo President's Office. Space is limited. Please RSVP here. Please call 719-583-0453 with any questions.